There’s something fun here at Pocono Whitewater, Biking and Skirmish for every level of adventurer! Choose your own pace…we have mild to wild dam release whitewater and family style whitewater rafting trips, over 30 miles of scenic, easy downhill rail-trail biking excursions along the D&L Trail and adrenaline-filled action in our Skirmish paintball games. Grab some friends, come for a half day, full day, or make it a mini vacation…It is up to you! 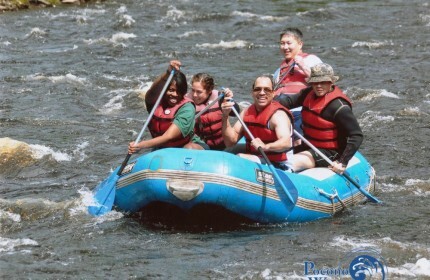 There is whitewater rafting, biking, and Skirmish paintball trips available daily.